It’s Thursday, and you know what that means… the weekend is just a couple days away! Will your weekend include a big, homemade breakfast? Wait until you try these (gluten free!) 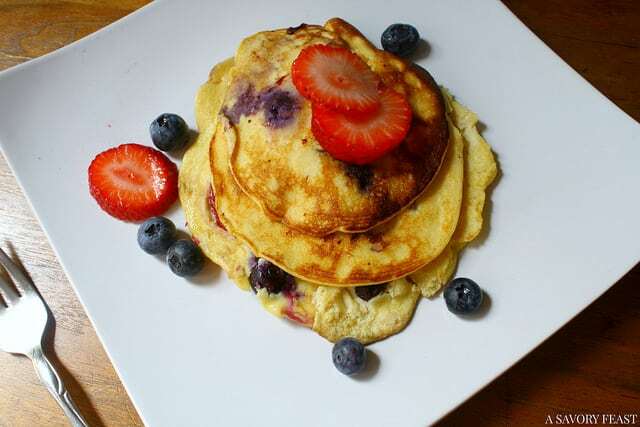 Coconut Flour Pancakes. You won’t be able to believe they are good for you! Over the past year or so, I’ve been making small changes to my diet and lifestyle. I gradually cut out breads, pastas and anything else made with white flour. Not only have I noticed that I feel so much better, I also have an extra incentive to avoid these foods because they hurt my stomach now. Andrew and I love to make breakfast on our days off (which are few and far in between!). 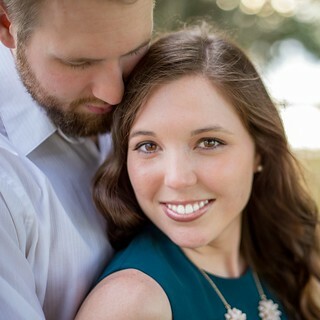 When we first started dating, we would make huge breakfasts with pancakes, eggs, bacon and fruit. Over the past year we have been trying more recipes with eggs and have been avoiding the pancakes. Because we rarely eat foods that are high in carbs, pancakes made us feel sluggish and tired. Who wants that on a day off? Lately, though, I’ve been craving those big breakfasts. So I decided to try a healthier alternative: coconut flour. Your local grocery store might carry it in their health food section, or you can find it at a health food store. These pancakes were easy to whip up and taste delicious! They turned out a little thinner than normal pancakes. Make sure your griddle is hot enough before you start cooking them, or the pancakes will be hard to flip. And the true test… we both felt great the rest of the day! These pancakes didn’t feel as heavy as normal pancakes. Usually when I eat pancakes, I’m not even hungry for lunch later. But with these I didn’t feel as stuffed and was able to eat lunch later on. 1. Mix all the ingredients in a bowl and stir out all the lumps. 2. Let sit for at least 5 minutes. Heat the griddle to medium high. 3. Drop the batter by 1/4 cups onto the griddle. Add the fruit if desired. 4. Cook for 1-2 minutes on each side until browned. Have you tried coconut flour? 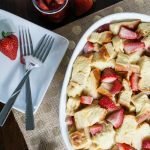 What are some of the recipes you used it in? 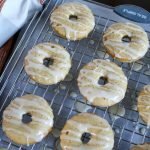 I’ve never heard of coconut flour but I’m definitely going to be on the lookout as these look delicious! It’s really good and so much better for you than wheat flour. If your grocery store has a health food section see if they have any coconut flour. I’ve been thinking about buying some coconut flour to experiment with!! These pancakes turned out so well! You need to try some! I am so glad to have discovered coconut flour. 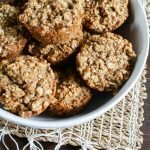 There are so many great ways to use it instead of wheat flour. Can’t wait to try this recipe this weekend! Let me know what you think! I might need to make it again next weekend. Yum! 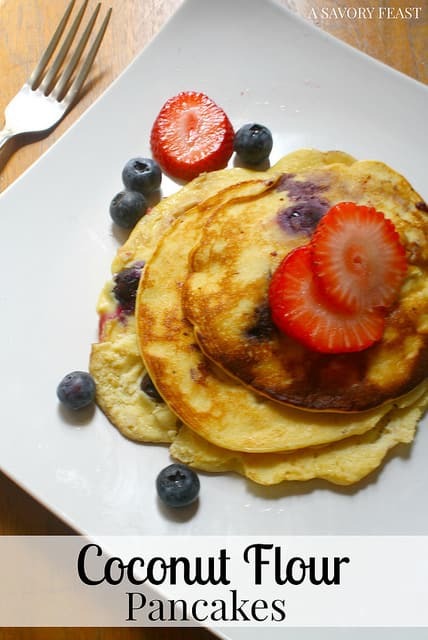 My son is a recent fan of pancakes…I love this healthy option. This version is so much better for you! Plus, I really liked how the coconut flour tastes. I totally agree about a big breakfast of pancakes making you feel sluggish! It always does to me, too. But these sound amazing, and I love using coconut flour and oil as substitutes. Sooo much better! I felt SO much better after this breakfast. Usually when I have pancakes I feel like I need to go back to bed! They were soooo good! I’m thinking about making them again soon. I just posted a recipe for the coconut flour pancakes that I make once in awhile but yours sounds so much better! Mine always turn out so thick & soak up syrup like a sponge. It’s tough to get the right texture sometimes because the flour is so dense but I think I’m going to give yours a try sometime! Thanks for sharing! I was really happy with how these turned out! You should give them a try and let me know how they turn out. 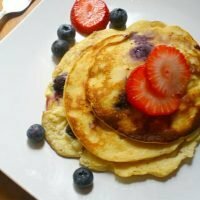 Your Coconut Flour Pancakes look fantastic! Thanks so much for sharing with Full Plate Thursday and have a wonderful week. Thanks, Miz Helen! They were so yummy. See you Thursday! You should give these a try! I have almost completely cut out white flour now, but I missed pancakes on days off. These were a great alternative! This looks like a delicious recipe, and I can’t wait to try it! 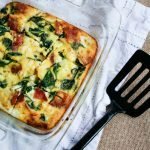 I discovered coconut flour this past year, and I’m always looking for new recipes to try. Thanks for sharing! I’m loving coconut flour right now! It’s so hard to completely cut out some of my favorites like pancakes, so it’s great to be able to try them with coconut flour instead.